Heartbreak makes Joanna Newsom more accessible. 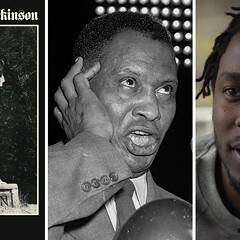 A triple album normally needs some kind of concept to buoy listeners for the duration. Joanna Newsom's new Have One on Me, which tips the scales at two hours and four minutes, takes as its organizing principle what's probably the most common inspiration for a surge of musical productivity: a broken heart. And by choosing a theme as familiar as a relationship and its demise, Newsom has made a record that's easier to get into. On disc one she's impetuous, giving herself up to a headlong rush of joy and newness despite her doubts. Its fourth track, "Good Intentions Paving Company," is seven minutes of Newsom showing off new possibilities, backing down from the craggily baroque melodies of her earlier records—and setting aside her harp—to play some warm, middle-of-the-keyboard piano pop. With touches of soul in its soft vocal trills and a bit of countrypolitan twang in its string arrangements—which are more modest and intimate than the orchestral flare-ups on her previous album, Ys—it's one of the most linear, pop-oriented things she's done. Even her vocal style is different; though she hardly sounds tamed, she's mellower. The song feels more candid, more approachable both musically and emotionally—but of course it's still Joanna Newsom, so it's not exactly accessible. After the masterful but intimidatingly dense Ys, though, something like "Good Intentions Paving Company" refutes the conventional understanding of her music as hard to parse. The other 17 tracks stick to more Newsomy musical territory, including plenty of harp, but they're still more openhearted and friendlier in scale than Ys. "In California," which begins disc two, is the pivot point of Have One on Me—with it the tone changes. There's regret, distance, separation, and love is now in past tense: Newsom asks her ex, "Did you love me?" and on the next song, "Jackrabbits," she pledges, "I can love you again." Over the tracks that follow, her ache hardens, turning from plaintive to self-protective and quietly furious. Her vulnerability makes this album easier to connect with than her previous releases, which were chock-full of myths, animal stories, and poesy. It's similar territory to the first side of Joni Mitchell's Court and Spark—she's negotiating how little of herself and her life she's willing to sacrifice for the love of a faraway man. Like Mitchell, Newsom relies on her home (both her actual house and the state of California) as well as on her creativity in her time of need, making the album about more than just what's been inflicted on her—it's about her journey through it. If the entire album were Newsom backed by a full band, it might be wearying, but across the three discs she mixes up the arrangements: sometimes they're heavy, with accompanists a dozen deep, and sometimes they're sparse, with just a drummer and a kora player or nobody else at all. Those two extremes both have precedents in Newsom's work, but she hits more points between them here. 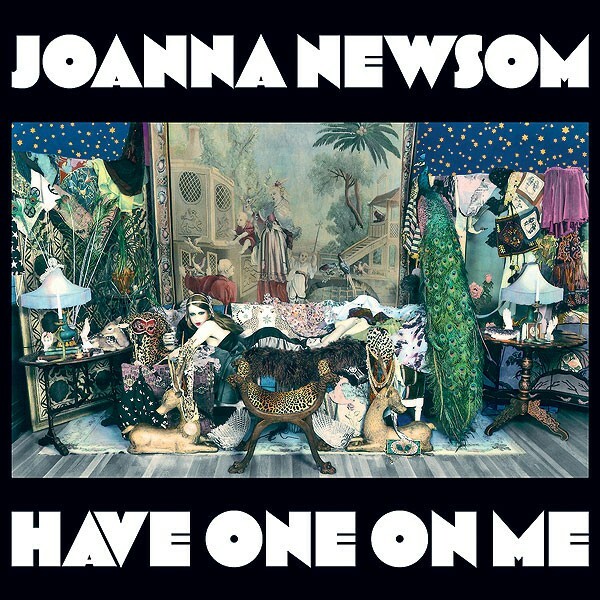 Have One on Me is a hell of a breakup album—Newsom stretches her ideas and talent further than she ever has, and in doing so she makes more room in her music for an audience. 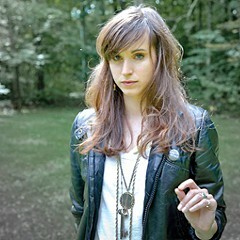 Holly Miranda is nobody's puppet.